MINNEAPOLIS (WCCO) — Dr. Martin Luther King Jr. Day is this Monday. That means a long holiday weekend for some of you and for kids! We found things to do if you are Workin’ for the Weekend. Fight cabin fever and keep the kids curious this Dr. Martin Luther King Jr. weekend at Como Zoo. It may be cold, but you can celebrate the warmth with African Adventure weekend. From 10 a.m. to 4 p.m. Saturday through Monday stop at stations inside the Visitor Center to explore the biomes of Africa. There will be animals and plants, a scavenger hunt, crafts, and more. 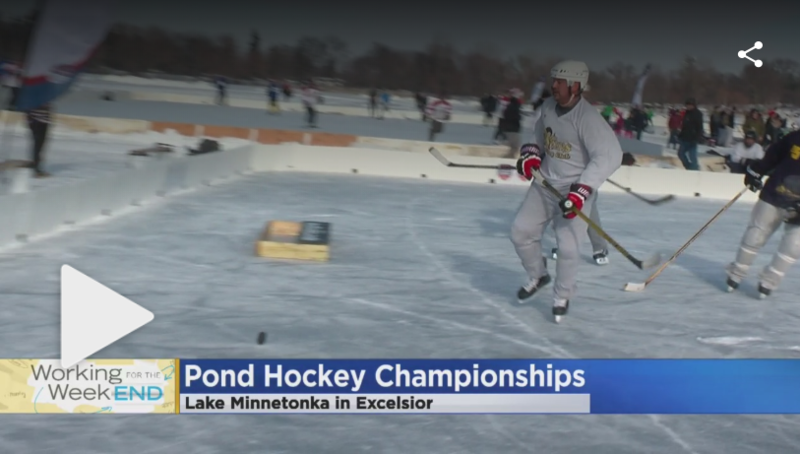 The North American Pond Hockey Championship is this weekend on Lake Minnetonka. The annual charity fundraiser, features a signature pond hockey tournament, plus other winter fun and games, including an outdoor bean-bag tournament, three live concerts, and a 5K in Excelsior all next to Maynard’s restaurant. As the weather cools down, warm up inside Bachman’s greenhouses. Bachman’s is hosting Indoor Farmers Markets at various locations throughout the winter. This weekend you can shop for local goods Saturday at the Eden Prairie and Fridley locations. Shop for everything from locally grown produce to sweet treats and crafts. Finally, drop by Vulcan Snow Park to see how the giant snow blocks are created. Better yet, sign up to be a volunteer snow stomper! On Saturday the Vulcans will be preparing the snow park in Falcon Heights ahead of the St. Paul Winter Carnival’s sculptures. Volunteer stompers can just show up, bring the family to be right in the middle of the action.